This year I had the privilege to be involved as an international judge in the PMO Global Alliance Awards and as the chairperson of the judging committee for the South African PMO Awards. So, for my end of year reflections, I want to share the lessons I learned from some of the best PMOs in the world. I would love to hear from you, so please share your insights by adding to the post. The term servant-leader is used a lot when it comes to project offices. Standard Bank in South Africa reported that as part of a cultural change process they ran servant-leadership training programmes and workshops to ease the introduction of Agile processes into their systems development approach. The PMO recognised that success depended in part on creating the right mind-set. Their role was to ensure that the stakeholders’ agendas were supported as positively as possible – and Agile implementation was seen by the stakeholders as a priority. That’s called alignment!. Great PMOs adopt a servant-leader style appropriate to their culture. It was interesting to find that across the world, and indeed within South Africa, there are so many different names for ‘the project office’. And sometimes the same name can encompass very different capabilities. Guessing that a portfolio management office would be focused on portfolio management within the organisation may not be as safe as you might expect! In the great PMOs I saw every one of them had developed a service catalogue – a clear description of the services that were provided. This ‘menu’ allowed the ‘clients’ of the PMO to recognise what they could and would get from their PMO. The great PMOs also understood it is not about imposing every services on all parts of the business. Depending upon the maturity and skills of the business area, different packages of services are appropriate. One size does not fit all. In mature areas, the PMO’s approach may be very light touch, whereas in other areas a more hand-holding approach is necessary, and more successful. Great PMOs list, assess and adapt their services to meet differing needs across the business. Multiple PMOs: Don’t duplicate, collaborate! Interestingly, concerns around the roles and contributions of multiple PMOs within a single organisation were raised in the PMI’s Pulse of the Nation report on Enterprise PMOs. (PMI 2016). 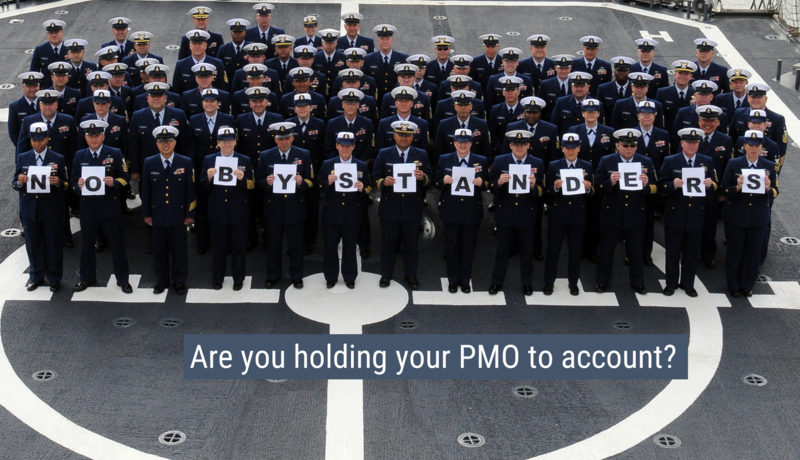 Many larger organisations have multiple PMOs. While this brings the services closer to their customers and allows much closer customisation, there is a real danger that it can dramatically increase overheads and bureaucracy. It can also present a confused picture to the business community. What do I get from whom? And, perhaps more tellingly, what’s the same and what’s different, why are there so many of them? Great PMOS, working in organisations with multiple offices (such as E Entel, Chile), clearly identify the different roles of their multiple PMOs and ensure that they work in a concerted manner. Their aim is to complement each other’s practices and present a clear, consistent and coherent picture to the business community of who to go, for what. The move towards high performing project-based organisations is not just about implementing good processes, or even recruiting good project managers. It requires everybody who works in projects to understand their role, and know how they contribute to the successful execution of projects. One of the great PMOs (Tatra Bank, Slovakia) ran a ‘Sponsor of the year’ competition. Showing organisational bravery, the aim was to promote the importance of the role of sponsor, and affirm what it really means to sponsor projects well in their organization. The response was excellent and the ambition clearly achieved. Great PMOs provide insights and understanding about projects to the whole business community. Many organisations are faced with throughput problems on their portfolios of projects. An imperative that every PMO is faced with at one time or another is how to improve this – or to take a leaf out of Agile’s book – how to finish fast or fail fast. Part of many PMOs’ role is to promote right-sized governance as well as efficient delivery approaches. In some environments this may mean adapting practices to support Agile-based frameworks. In virtually all businesses, the need to streamline project practices within the risks acceptable to the business is being examined and re-examined. Great PMOs are constantly reviewing practices to respond to the changing capabilities of technology and urgency to clear project backlogs. Ensuring lessons are learned is a hot topic in project management and the PMO is often the central repository and sharer of lessons from across projects. But learning does not only come from within an organization. Sometimes insights from outside can be even more valuable. One of the great PMOs I reviewed has set up links with a local University and several PMI groups, encouraging them to come in and share insights. Great PMOs connect their project community with knowledge and insights from a variety of sources. It has now been at least five years since enterprise project systems became popular as ways of capturing project data. But how much value has this data really added to the way projects are initiated, executed and closed down? In one of the great PMOs (The Reserve Bank, Australia) the focus was on extracting business intelligence from the project data. They recruited mathematicians and data analysts and combined this with the use of machine intelligence and years of information collected from the projects. The purpose was to allow the PMO to predict portfolio issues and identify those projects which should be targeted for additional oversight. Their results make it clear that this is being routinely achieved. There isn’t one of the great PMOs I saw that did not measure their own performance and, more importantly, acted on the feedback to improve and adapt their services and practices to the fast-changing needs of their clients. The assessment of performance is always multi-faceted providing different perspectives on performance, and, for me, most revealingly; these PMOs expected and did re-invent themselves regularly and frequently, recognising the need to stay responsive to the needs of the projects, the business, and the PMO’s stakeholders. Great PMOs review their performance and act on the feedback. ← What makes a good benefits analyst? I met Brian Hobbs at a conf in Shanghai. He is my go to researcher for PMOs. His view has been that a PMO is a temporary structure created for a particular objective. Like a project, these have a finite timeframe. How does that opinion stack up with the winners of these competitions? I agree about the temporary structure theoretically. I think the best PMOs should be prepared to dis-invent themselves. That goes along with the servant leader idea as well. In practice they are actually creating themselves as permanent structures. The best we get close to is the idea that the PMO must re-invent itself every few years. 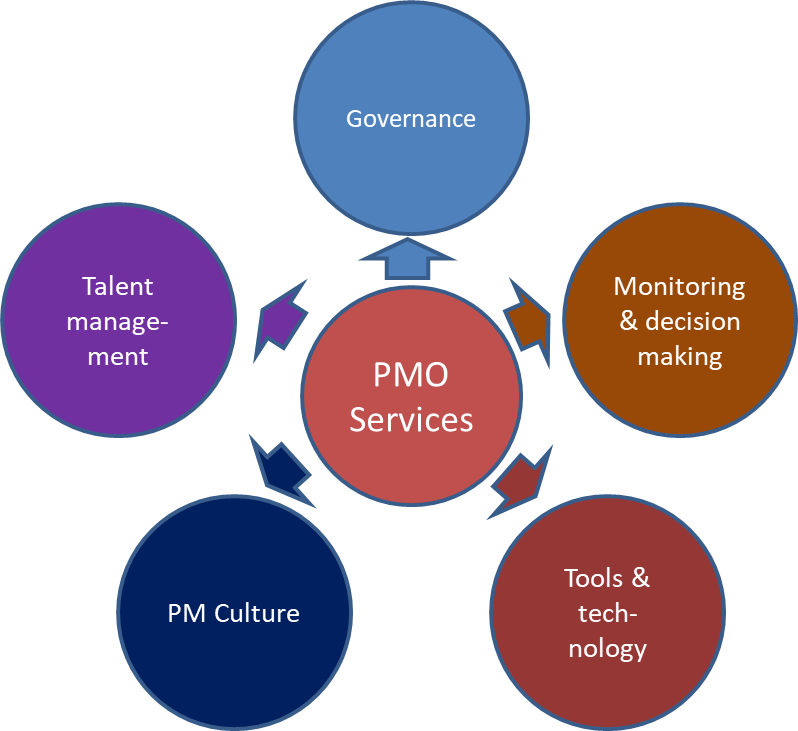 I suspect many of the services that PMOs offer are easily susceptible to outsourcing and that PMO of the future will be a very small cadre of senior project/program,portfolio experts who are advising and supporting the business by providing value-added analysis and executive level advice on how to conduct the business portfolio. So, more PPM activities and fewer traditional support functions?